Manchester United 2016-17 Kit | Home, Away Jersey: The English giant club Manchester United will see in the new home and away jersey in the upcoming season 2016-17. 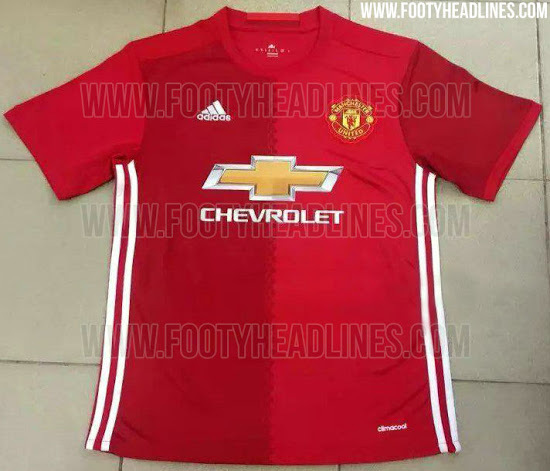 The Adidas new Jersey is all set to be launched in May 2016, but here we get the leaked pictures of the newly design Adidas Manchester United 2016-17 home and away kit. Adidas who signed with Manchester United in 2014 will manufacture the Man U home and away kit once again. See below the Red Devils 2016-17 home and away jersey. Adidas and Manchester United signed a world-record kit deal in 2014 which came into effect with 2015-16 season. The new home jersey features a half and half design in two shades of red which is looking adventurous. The style is continued onto the sleeves whereas the front halves are connected through a hexagon detail. The Man U jersey comes with a modern collar in the same color. On the back of neckline, a yellow and red Newton Health plaque like graphic is printed. The Adidas iconic three stripes are positioned on the side of the home shirt instead of the sleeves. The shirt will be accompanied by the white shorts and black socks. 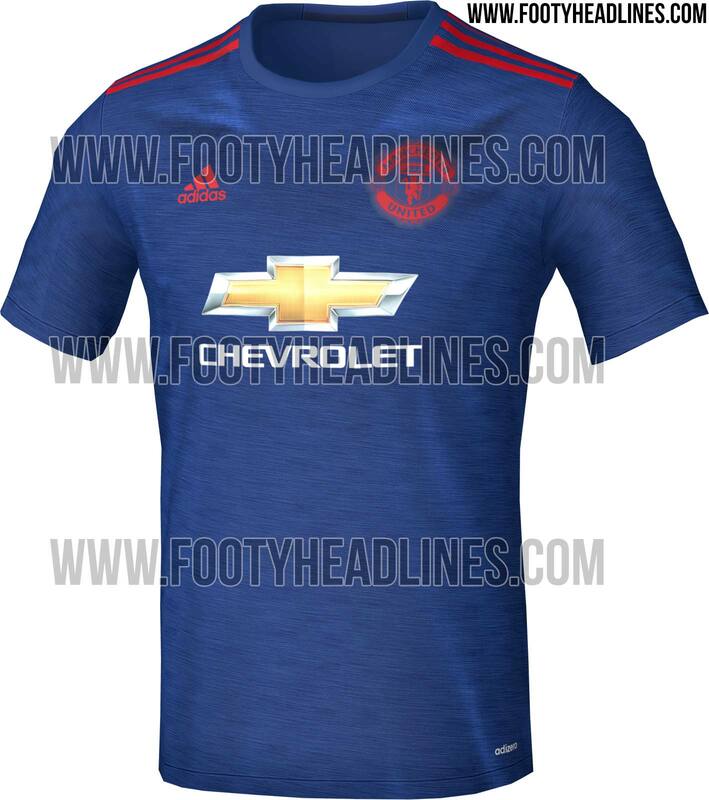 Manchester United will be seen in the blue color jersey in their away matches. The kit is inspired the 1968 European Cup final in which Man U became the first English side to win the European Cup. Red accents in the form of Adidas logo on the front and iconic three stripes positioned on the shoulders make the Manchester United away shirt more striking. Adidas added modern touch with all-blue look with combine the royal blue United shirt with dark blue shorts. The same color socks will complete the Man U 2016-17 away jersey. These are leaked pictures of Man U jersey, the official Do you like the Manchester United 2016-17 home and away kit? Give you views in the given below comment box.